Citizens shared photos of a huge pothole which is said to have been partly caused by Tuesday's earthquake which shook the nation. The photo was shared on Wednesday along with other photos of minor damage to local supermarkets and a hotel. A woman shared the photo to social media with the caption: "After effects from 6.2 earthquake top lord street Sando..we eh ready for no disaster (sic)". 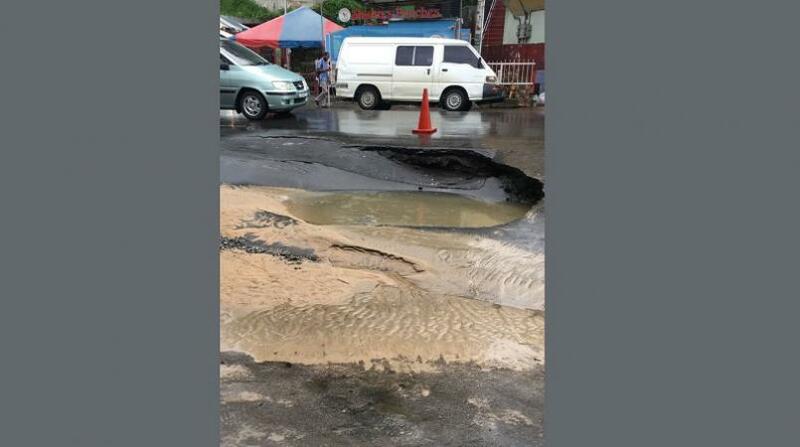 The pothole was said to be on Lord Street corner near High Street, San Fernando. The cause turned out to be a ruptured main which opened up after the earthquake. Workers turned out on Wednesday to carry out repairs and fill up the hole. Tobago also reported feeling several aftershocks around midnight on Tuesday after the 6.2 earthquake caused consternation amongst citizens. Contrary to certain messages being shared on social media, there were no tsunami watches or warnings.